9 (nine) medium-sized balloons of different colors separated into groups of three. One and a half cup of filling of your choice (either rice or sand). 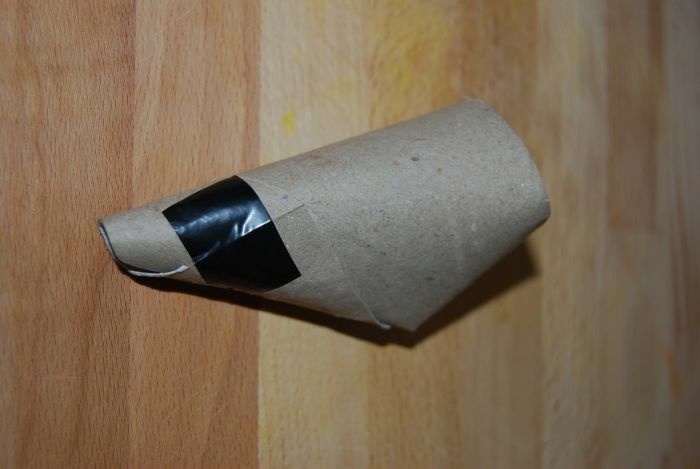 Place the funnel inside the bottle half cup of rice for example and gently pour it through the funnel as you steady the bottle to prevent it from falling and spilling over. Once the rice is in the bottle, remove the funnel and place it aside together with the filled bottle. This part may be a little tricky. Take one balloon and blow it until it is full of air, then without letting air from inside to flow out, gently but quickly attach the balloon using its opening on the bottle. The tricky part comes here so pay attention. 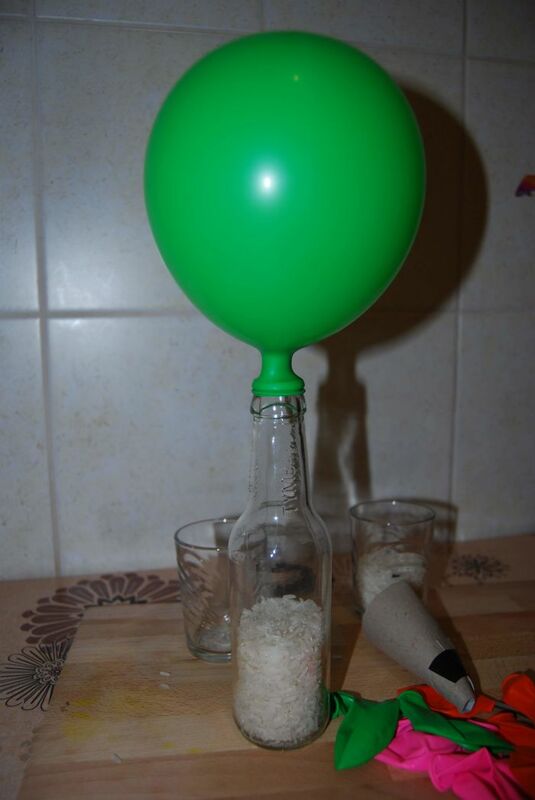 Stick the balloon over the bottle top and flip it upside down to let the rice fall into the balloon. This may require a couple of tries for people starting out but with a little practice, you will get it. As you fill in the balloon, gently twist in a pulling motion the balloon to help the filling to flow until the balloon is completely full. Then gently remove the balloon neck from the bottle. 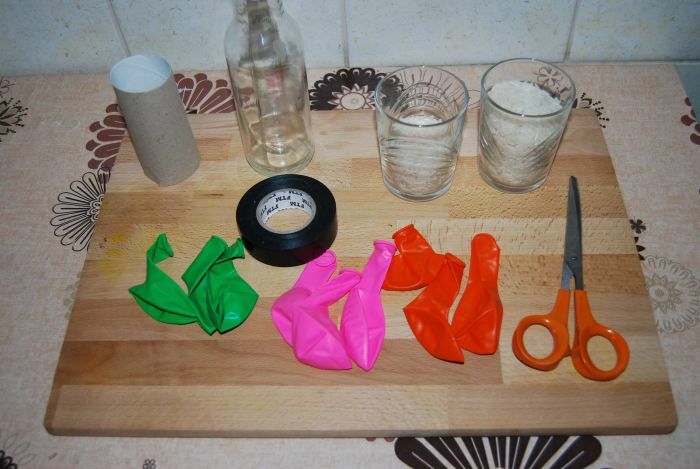 Take the second and third balloon of different colors and repeat step 1 and 2 by measuring half a cup, filling the bottle with it by using a funnel with filling, inflating the balloons and filling them up, then detaching them from the bottles. It’s that easy. These three filled up balloons will form the base of the juggling balls. By taking the pair of sharp scissors, cut the neck of the three filled balloons halfway through the neck and throw away the chopped off part. Take the remaining piece of the neck and fold it over the filled balloon’s body to sit flat. 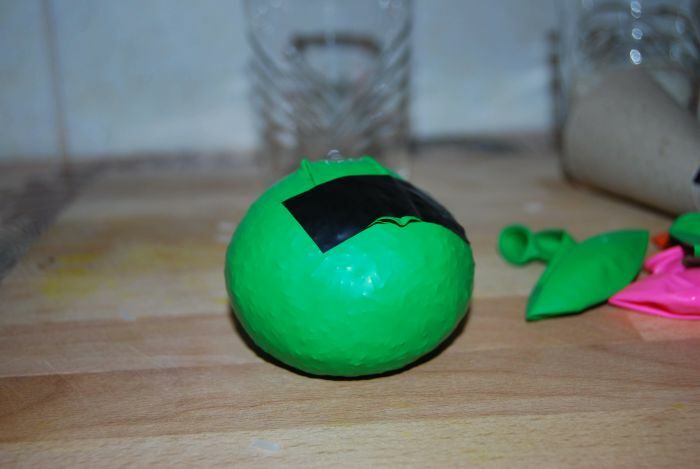 Cut out pieces of tape and attach the flat neck flap onto the filled balloon’s body. Repeat this step for the other balls. Take the left out balloons for each ball filled with the desired filling. Cut the whole neck of each balloon below the neck. 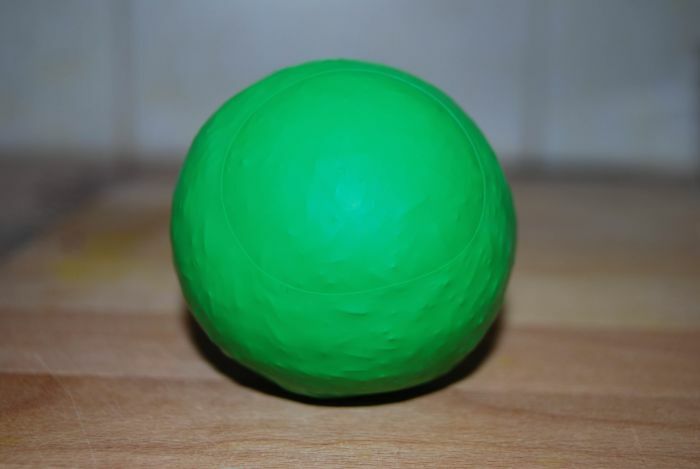 Cover the filled ball, in such a way that the neck of the ball which you taped to its body should be going in, opposite to the wide opening of the balloon you cut over such that one folds over the other. Flip it over to see an exposed circle at the top which is of the color of the filled balloon. Repeat the step for the other remaining balloon pieces. With the colored circle up take one balloon piece and cover the ball. Repeat this for the other balloon pieces. Congratulations! You made three juggling balls. Covering it twice will improve look and durability. You can make your juggling balls more fun by painting them or putting stickers to form different patterns. Even write your names on them.